CCube has redefined competency testing in India by the way the tests are conceived, developed, and offered. The test questions are developed in association with industry experts, User group, and are constantly updated, reflecting the changes in conceptual rethinking and software updates. Conducted in a secure online environment, under strict supervision in authorized testing centres across India, CCube certifications offer a quick way for students to get a third-party endorsement to their hard learnt skills and competencies. 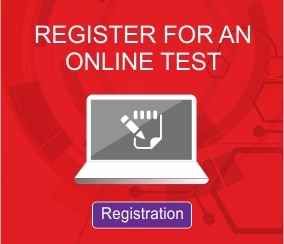 Students choose suitable test modules, prepare, and appear for a 60-minute online test that consists of 60 multiple-choice questions. The unique strength of our certification programmes lies in providing right ‘weightage’ to subjects that are covered by each certification. The certifications are graded – students and professionals can take them at different levels that suit their skills, experience and objectives. CCUBE offer Associate, Professional, Expert, Master level certifications; user level to expert level. CCube’s mission is to help students stand out and help the employer identify the right talent quicker. The employers must be investing little time to assess the skills of candidates. CCUBE certification exhibits the candidates industry readiness, high degree of specialization, and expertise. Currently, CCUBE tests and certify the competency of engineers in using the software packages from global product leaders such as Autodesk, Bentley, Dassault Systèmes, PTC, and Siemens. CCUBE also test and certify project planning and management software such as Microsoft and Oracle. CCUBE has planned grow as a multi product testing certification facility. CCUBE shall design certification on new software tools in a phased manner. New domains are being explored to ensure that CCUBE continue to offer relevant, effective and industry-recognized certification to larger population of professionals. CCUBE currently has 50 plus authorized testing centres across India and have certified students and professionals in their quest to differentiate and move up the career ladder. CCube aims to evolve with you as a trusted brand by all stakeholders. CCUBE will become a trusted partner to the employer, industry, product developers and professionals.